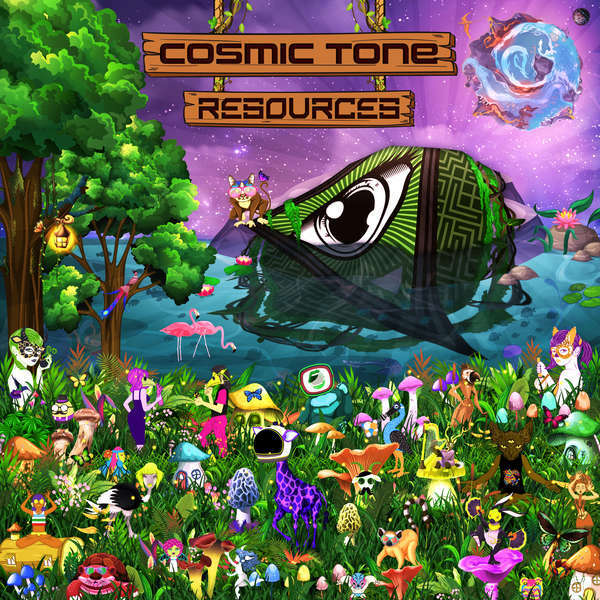 HF / Features - Cosmic Tone talks ‘Resources’ and divulges his colourful weird psyche! 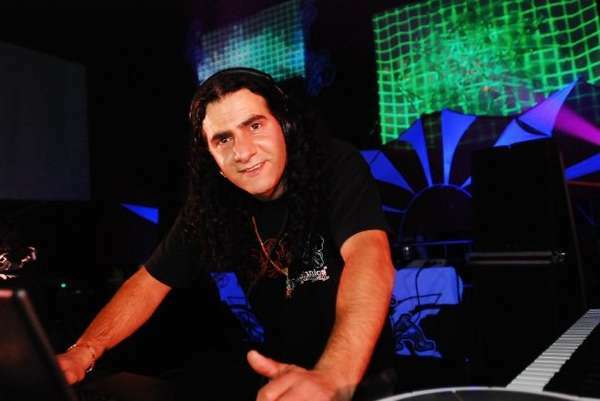 Cosmic Tone aka Roi Nissan is an Israeli producer specialising in Psychedelic Trance. His careers spans well over a decade and has seen him releasing his spacey, emotional, uncompromising sounds on top labels like Iono-Music, Tech-Safari and Planet BEN. His name aptly fits his sound, in which he is always seeking to explore. We decided it was time to delve deeper into the mind behind the music, ahead of his upcoming album release ‘Resources’ on Iono-Music on Monday 11th February! You were born and raised in Israel; how did your love for music come about? Yes I was born and raised in Israel and in my country there is a mix of people coming from different cultures and different musical styles. 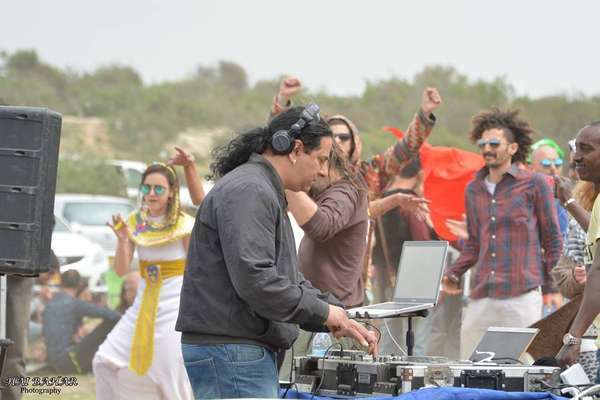 I think because of this mix I and other Israeli artists are exposed to a multitude of cultures and styles and have many different influences musically. This rich array of music which was available to me and surrounding me made it very seductive and therefore very easy to fall in love with it. Music has always been a very central part of my life. What was the first music you ever bought and who were your early inspirations? Did family play a part in your love for music? Did you always want to make music for a living? Actually, no I didn’t; it was just a hobby, I wasn’t looking at it as a career when I was younger. I just loved music. I did not expect my hobby to take off as it did and reach such dimensions. Over time I have discovered an even bigger love for it. I see how great and beautiful music is, a language that speaks to so many people. I say thank you every day that I have the opportunity to make a living from it. What was the first piece of musical equipment you bought? The first instrument I bought was an organ. The first equipment I bought for the studio (if you could define it as a studio) was a second hand computer and a pair of Tannoy monitors, a simple sound card and acoustic sponges (that I thought didn’t do anything!) and I borrowed a synth - that was the beginning for me! How do you set about working on a track? Do you always follow a particular procedure? The only procedure is that I create a template first. In the template I start with a kick, then the bass and then I add the rhythm. Once all of this is in place, I start writing leads and lines. When the template is full enough, I spread it out and actually start the story in the arranging and adding more ideas. I do not have a particular formula or permanent construction that I use. I simply combine what is in my head and build a whole story from that. I think that if I followed a particular procedure all my tracks would sound the same. What do you think are the most important attributes you need as a producer and artist? I think that today an artist and producer need many different attributes because the demand is huge. The most important attributes are always to listen and learn. Also - be stubborn, but on the other hand know also when to let go. Most important is to be humble and stay true to who you are when you are famous. How did signing your first track come about? 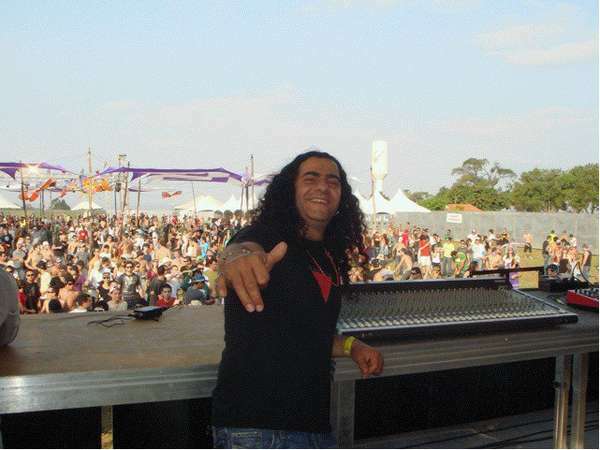 My first signing was in 2002 when I played at a big party in Israel and at the party there were a lot of people from the trance industry. At the end of the party a guy came up to me from a record company and gave me a business card. I called and arranged a meeting and at the meeting we had a really good connection between us so decided we’d do an artist album and release some tracks. What’s important to you in life? What makes you happy? I think this is a difficult question to summarise because there are a lot of important things and there are a lot of things that make me happy. I guess what matters most to me in life is my health for my family and friends, and that we will always be happy. What makes me happy is the beautiful life we live. On the flip-side of that - what makes you unhappy? Again this is difficult to summarise as there are so many things that make me sad. In general, what makes me not happy is when things are going wrong for my family or friends. You have an upcoming album being released on Iono-Music on the 11 February 2019! Tell us about the album which is called ‘Resources’. How did you come up with this title? How long did the album take to make? What are some stand out tracks for you and why? It’s been about 8 years since I released my last album. Over these years I have continued to create and release music via EPs and singles. Then for the last two years I have had the urge to make an album again - I wanted to change some bits in my music but also wanted to bring back the sweet taste I had for a number of years. I started to feel that most contemporary music bored me a bit and the majority all sounded the same to me, so I decided that I would do it. If I could make an epic change I would be supper happy. In Psy-trance albums are like business cards so it’s important that every artist will eventually have a main album. The title of the album was chosen as a result of all the resources I used in recent years to live and to create the album. It took me about two years all in all, with other projects being worked on during this period too of course. In this album I was definitely aiming to show the younger generation an innovative and contemporary sound, and of course music for the dance floor. The album artwork is incredible. How did this come about? As with all my albums, my logo is an eye in a triangle and it’s always in the centre. This time too the logo was there and I added a lot of colours and lots of weird things that do not really mean anything specific or deep. The album cover really just gives a window into my psyche. It’s very important to me to have lots of colour. Also; like I said about the music showing the younger generation what has perhaps been lost, it is the same thing with the graphics. Plus, to me it represents psy-trance - colourful and strange! It took about six months to work on the graphics and to get the final result. I usually take a laptop with me to the stage with the addition of a controller and a quality sound card. For some events I take two USB sticks and play them with CDJ players. In both ways I use a mixer to do a mix and play in/out for the VA system. When I play you can expect to hear music that fits the dance floor and music that will make people happy and smile. In addition, the audience expects a certain musical line that will always make them dance no matter what happens in the surroundings. They want me to take them on a special trip to a special place that will make them forget everything and just dance and be happy! Lastly, if you could give advice to aspiring artists - what would it be? The main advice I would give would be to always do what you believe in. It usually takes time to get to the result you’ve been seeking but you will succeed. No matter how big you become - never forget who you are or where you came from. Another very important tip is to be happy and generally to be content with what you have. All images courtesy of Roi Nissan. Not to be reproduced without permission.